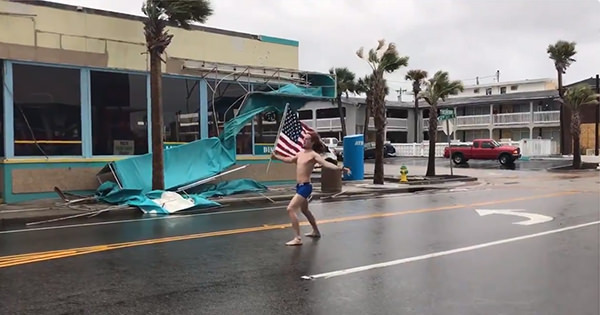 Roughly two years ago, Lane Pittman of Florida got some exposure (pun intended) by standing in the street with a flag in the middle of Hurricane Matthew, all while jamming to Slayer classic, "Raining Blood." Naturally, with Hurricane Florence on the prowl, Pittman has resurfaced in the South Carolina two days ago to reprise his role has hurricane fighter. You can check that out below, along with alternate footage filmed by Fox News, who wondered what the hell Pittman was doing.